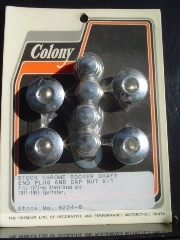 Fits Shovelhead models 1971 – 1984. Fits Sportster models 1971 – 1985. Replaces OEM #'s 17448-71, 6466W, 7872, & 7875.